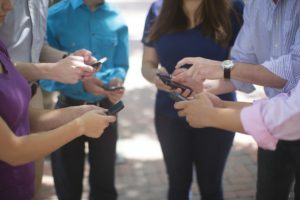 If you are a master’s student, you’ll likely need a smartphone to not only give you a personal life away from studying for an online MHA degree, but also to make studying easier altogether thanks to some of their features. If you are currently on the lookout for a new smartphone, have a look at the best smartphones below to see if they suit your specific needs. The Samsung Galaxy Note 5 could prove to be a little expensive for most students at a mind-boggling $518, but if you have the money to spend on a new smartphone, then you should consider the Samsung Galaxy Note 5. It offers plenty of features that will make your student life a lot easier, and it is also the only smartphone that comes with a stylus pen which could provide further benefits in terms of making notes. For a much cheaper option than the Samsung Galaxy Note 5, you may want to consider the Blue R1 HD smartphone for your student life needs. This product is fully protected with a Gorilla Glass 3 screen so whether you are just spending time looking at your master’s degree program details, or enjoying a night out with friends to let your hair down, you can be sure your phone isn’t going to break very easily. This smartphone has all the features you need for your personal life and student work needs and for the price it comes at, makes this phone one of the best smartphones available for master’s students. With a 5.2” screen and plenty of features to make your student life easy, the Blu Life One X represents excellent value for money. It certainly can’t be compared with the Samsung Galaxy Note 5 when it comes to features and technology, but when it comes to price this is the best value for money smartphone on the market. A lot of students own this phone because it is cheap, but also has everything they need for their own personal use and student life. The Motorola Moto G4 comes with 2GB of ram and a big enough screen to see what you are doing when it comes to studying online. When studying, it’s always important to have a phone that will let you do it online without it straining your eyes, and this one has a big enough screen that will allow you to do that. This product comes with a few other features in the sense it is also water resilient, and it has a quick charging feature so you will not have to wait around for the phone to charge when you are looking to meet university work deadlines. The above phones all offer something different than their competitors so it will all depend on your specific needs before choosing one. Each phone also comes in a different price range so even if you can’t quite afford the Samsung Galaxy Note 5, the other phones listed here represent great value for money. To know more about latest phone’s features and buying tips, read here.